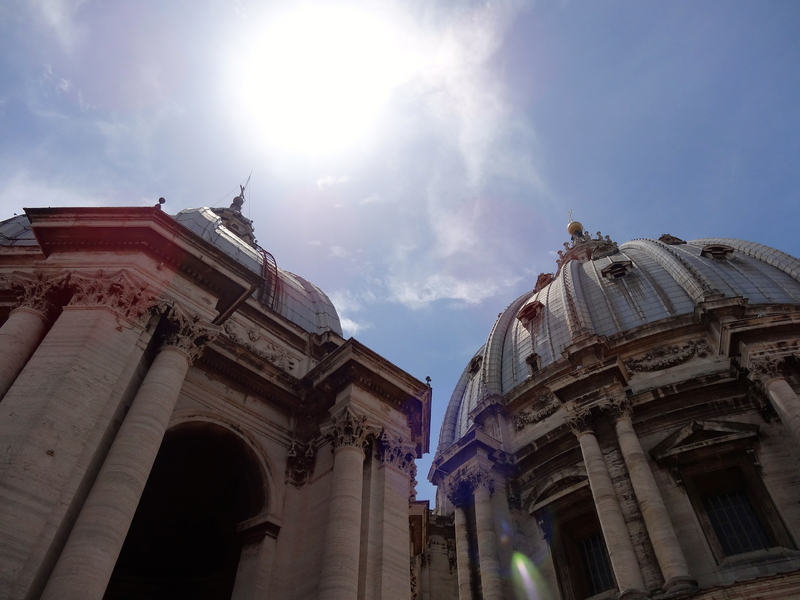 I think my love for the Vatican stemmed from the sheer awe of its historical significance and architectural beauty. I really have never been anywhere like it before and you certainly don’t have to be religious to appreciate it in this way. If you want to miss queues and the rush, get to the Vatican early-ish. We arrived at around 10:30 and there was already an insane queue to get into the Vatican Museums. It took us 30 minutes from leaving our hotel to arriving in St Peter’s Square. A few minutes walk from our hotel, 10 minutes on the underground train from Repubblica to Ottaviano, and then a 15-minute walk from Ottaviano to the Square. Pretty quick! (And we went on a Monday, which I’m told is one of the busiest days, since Saturday and Sunday opening hours are restricted). Upon arrival, you will see the terrifyingly long queue to enter the Vatican Museums. If you’re wise, you’ll have booked tickets in advance for these (thankfully we did) and thus avoiding the 2-3 hour wait in the sweltering sun! Also, do not be fooled by ticket touts selling fast entry, who prey on desperate tourists queuing. Always buy in advance. When buying your tickets, here, I really recommend going with the guided group tour. We got so much more out of our visit because we had a wonderful lady showing us around who, I understand, had completed a doctorate in Vatican history. She certainly knew her stuff and really brought everything alive. There will also be a queue to go up the Cupola, but it’s not as murderously long as the one for the Museums. Unfortunately, there isn’t an option to buy tickets in advance but the queue soon goes down – I think it took us around 30 minutes from joining the queue inside the Basilica to reaching the first ‘peak’. When buying your ticket up, bear in mind that the total amount of steps from ground to top is 551. 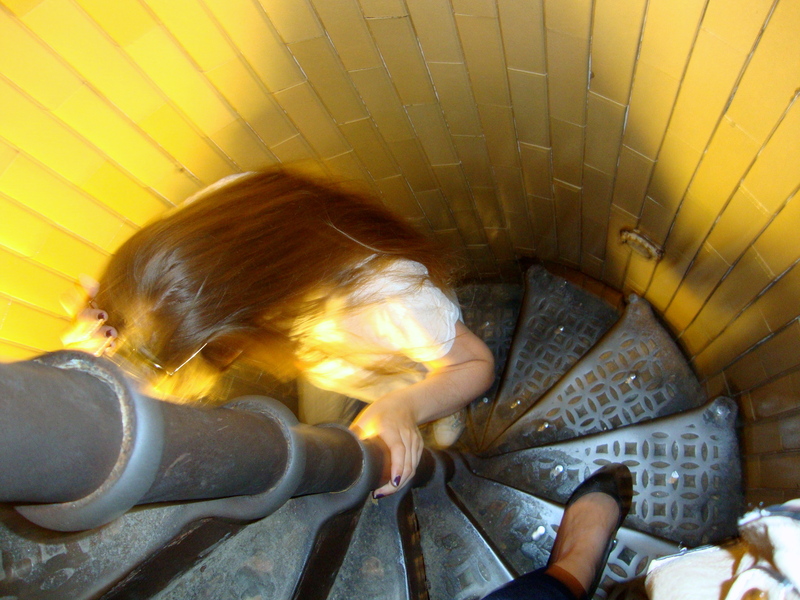 And they’re steep, very narrow spiral staircases! 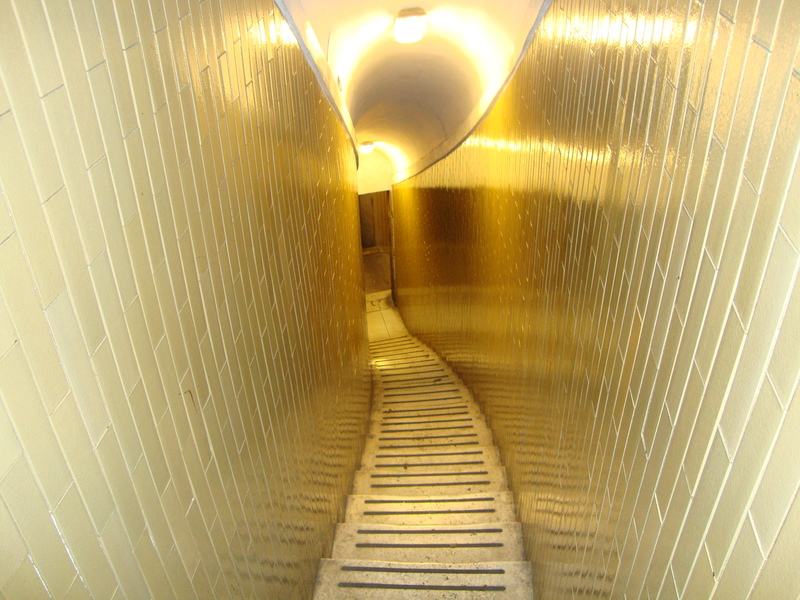 Which makes for a panicked and unpleasant climb if you’re claustrophic like me. So there are two ticket options – one which is stairs all the way (€5) and the other (€7) which takes you part-way in a lift and ends with just 320 (!) steps. We went for the second option! Regardless, the views at the top of the Basilica are simply stunning, once you get there. For those interested, there’s a cute little souvenir shop run by nuns mid-way up the Cupola. A bizarre mix of capitalism and traditionally dressed saintly ladies. After St Peter’s, we spent the remainder of the day in the Museums. Our tour lasted around 3 hours and was certainly worth it, although you’ll be doing a crazy amount of walking. I can’t really say much here without waffling any more but the art collection is unbelievable and you’ll learn a lot of the ancient historical stories behind the pieces. The Museums tour finishes up just before you enter the Sistine Chapel, allowing you as much as you like inside to marvel at Michelangelo’s work. (Before you enter, your guide will have given you plenty of historical background and facts, so you can spot those things yourself). Unfortunately, no photos are allowed to be taken in the Chapel (although I’m sure I saw a sneaky few) and you must be silent throughout your visit to the Chapel, although there was loud chatter amongst the crowds, despite the annoyed guards making repeated PA announcements. You’d expect the ambience of the Chapel to be peaceful and saintly but it’s more like a rugby scrum, trying to appreciate the ceiling’s artwork without getting carried along shoulder-to-shoulder by the crowds. Still, you won’t want to miss the visual beauty of the place. After that, it was gone 5pm and so we headed back to the Square for a few more photos before leaving. I then became the unofficial photographer for a lovely Italian family of about 10 people, who wanted group photos in the Square, which was pretty fun. I got to practice my Italian and they got to practice their English! If we had had time, it would have been great to visit the Vatican Gardens before we left but we simply couldn’t fit everything in. So that was my first visit to the Vatican City! It was a very humbling experience and the sheer scale, beauty and historical significance of the place blew me away. Definitely don’t miss it if you’re visiting Rome. More photos to come at a later date. Be dressed appropriately! Ladies, ensure shoulders and knees are covered if you want to enter St Peter’s Basilica. Gentleman, no shorts; trousers only. Book tickets to the Vatican Museums in advance. 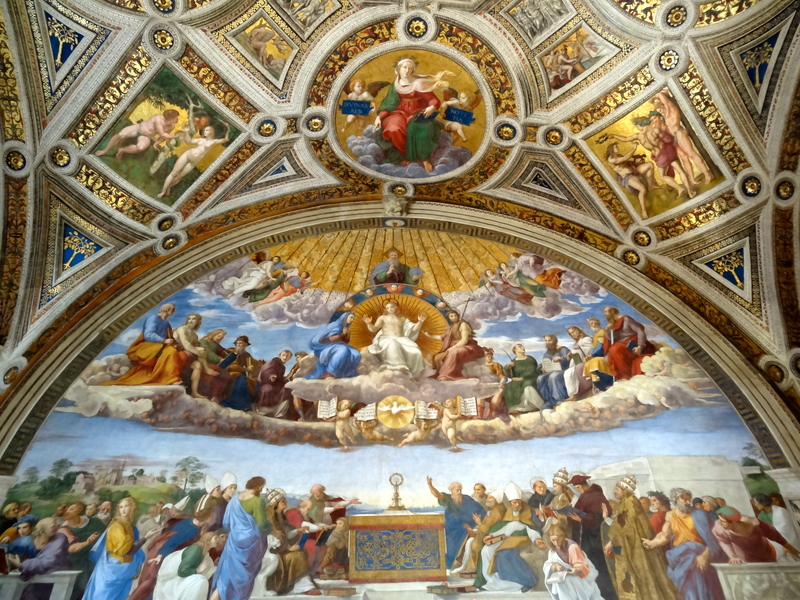 Book yourself on a Vatican Museums group tour – you really will get so much more out of the visit. 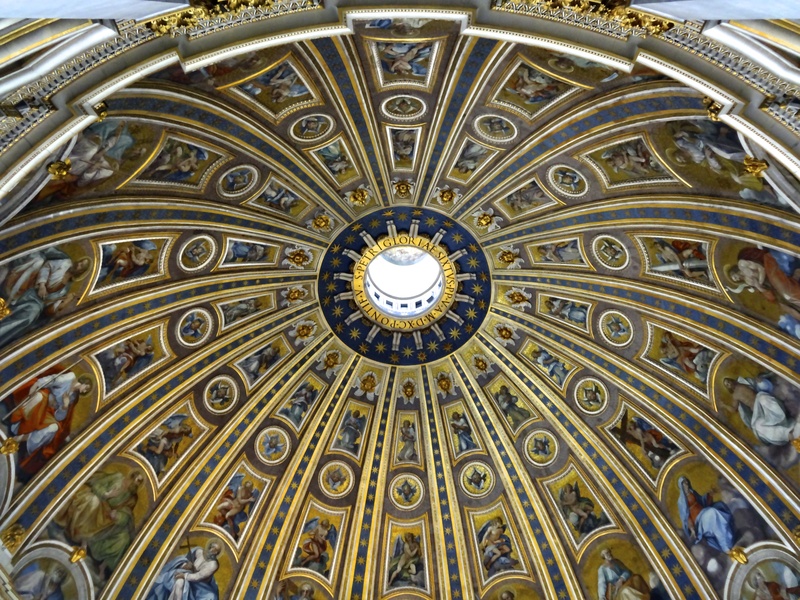 To get to the top of St Peter’s Cupola, buy the part-lift, part-staircase ticket to save your feet an additional 231 steps. I also recommend taking a bottle of water up with you to the Cupola. It’s hot, sweaty work climbing and there isn’t anywhere to buy water on the way up (although there is a water fountain mid-way). The Pope is not in Vatican City during the summer. (He resides at his summer residence of Castel Gandolfo during July and August). If you want to see him in Vatican City, come on a Wednesday for his public address in St Peter’s Square or a Sunday for the blessing, usually done from his office window above the Square. You will need to secure free tickets in advance for both. More info on the Papal website here. 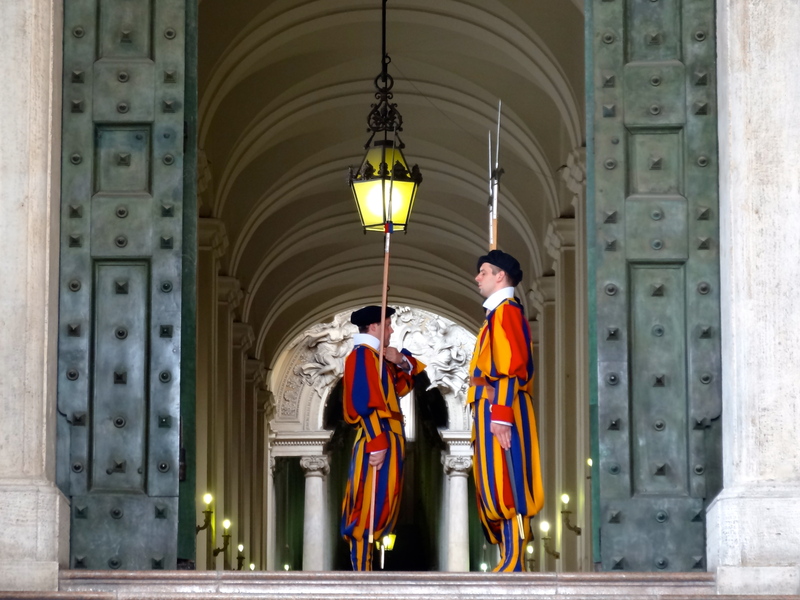 Wear comfy walking shoes; the Vatican Museums stretch for over 9 miles. Eat a hearty-sized breakfast. The Vatican Museums have a café but it leaves much to be desired and there aren’t many eateries in close proximity. Looking down on the Vatican Gardens from the roof of St Peter’s Basilica – superb! Definitely many great views from up there!